A strong tobacco aroma, hot and powerful, with vibrant and authentic flavours. A tribute to the Buffalos of the Far West. 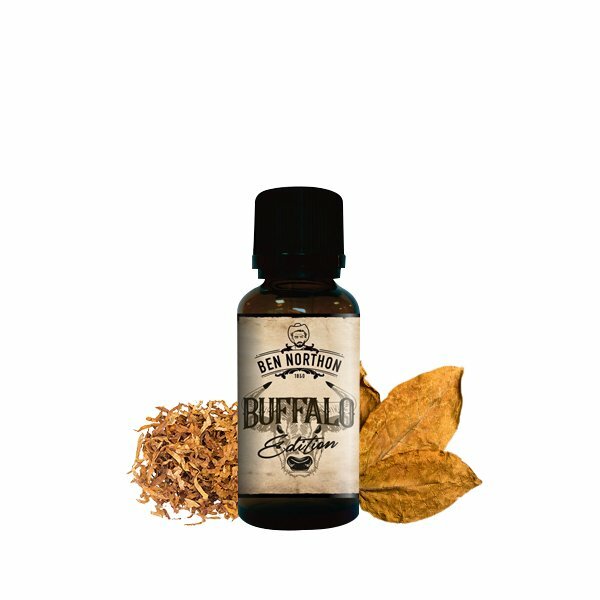 Flavour: A strong tobacco aroma, hot and powerful, with vibrant and authentic flavours. A tribute to the Buffalos of the Far West. Packaging: Delivered limps about it unit, bottle out of glass of 10 ml with account tastes, childproof security cap + 1 pipette. Nicotine rates: 0, 6, 11 et 16mg/ml.